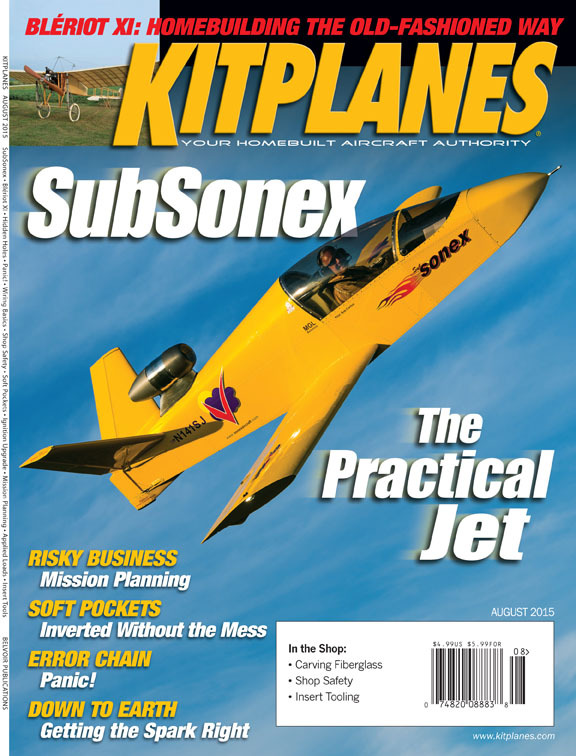 SubSonex: Now is the Time to Get Your Jet! The Bottom Line: What Will My SubSonex Cost? If you’ve ever dreamed of owning a personal jet, now is the time! 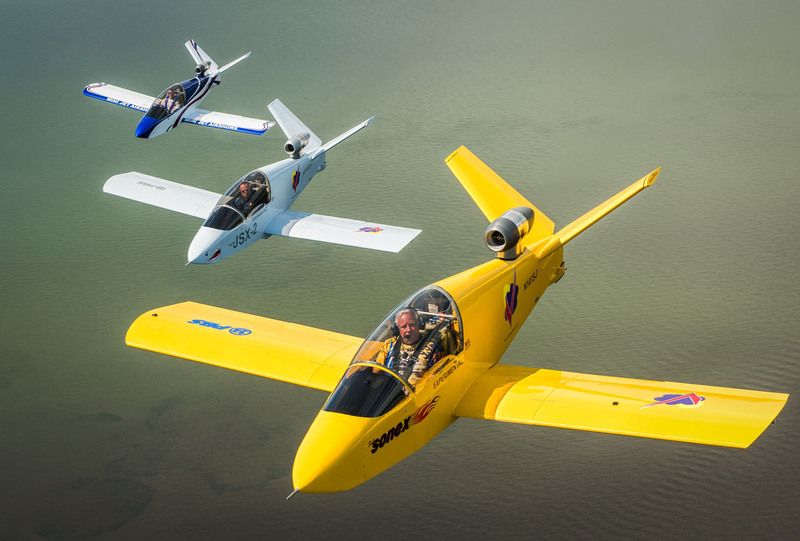 The SubSonex extends the Sonex Aircraft 'Reality Check' philosophy to become the first truly practical and affordable personal jet for recreational flying. The first benchmark on the SubSonex 'reality checklist' is the fact that the aircraft has become a reality as an affordable Quick Build Kit. When you are flying a SubSonex, the $100 hamburger never tasted so good! 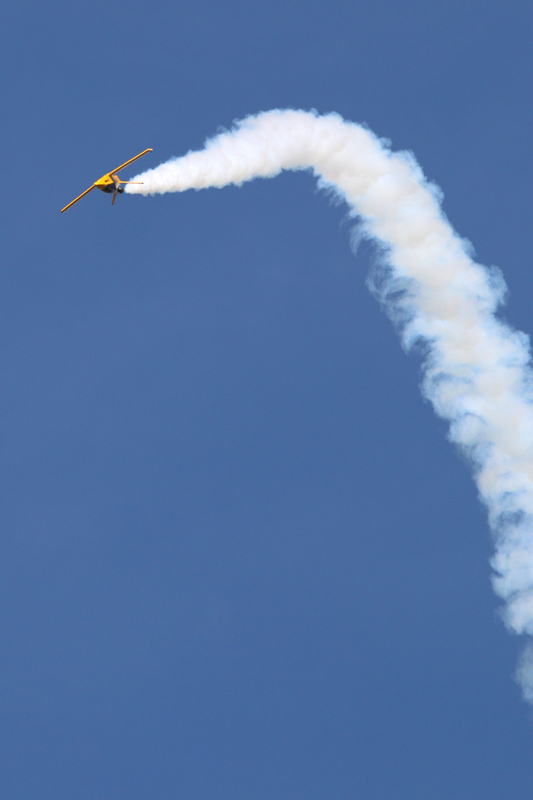 Nobody can deny that every pilot’s fantasy is to own and fly a jet! 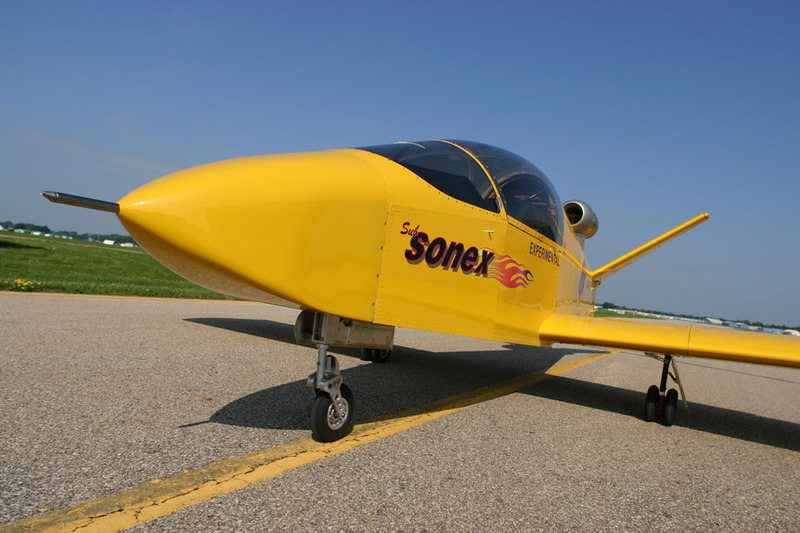 The SubSonex is designed to capitalize on new generation small turbine engines to give pilots of more average means the title of Jet Jock. SubSonex is all about taking a thrilling rocket ride around the neighborhood! 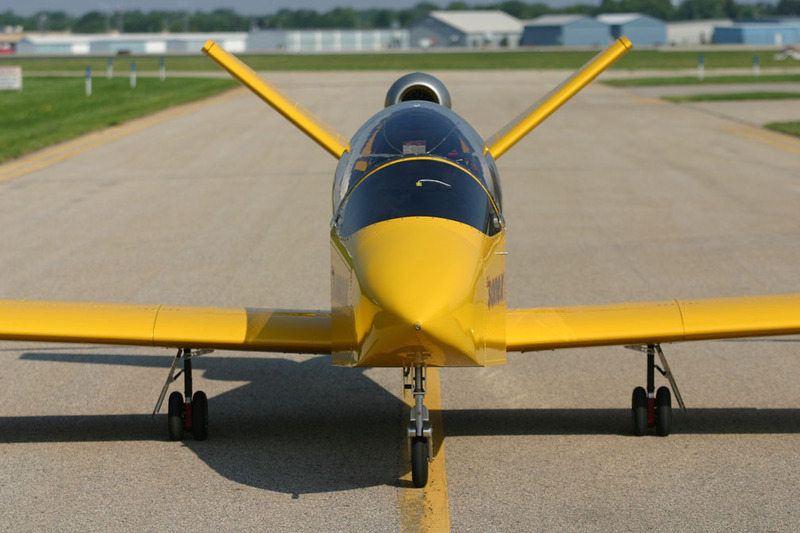 The SubSonex Personal Jet concept was first unveiled at AirVenture in 2009. 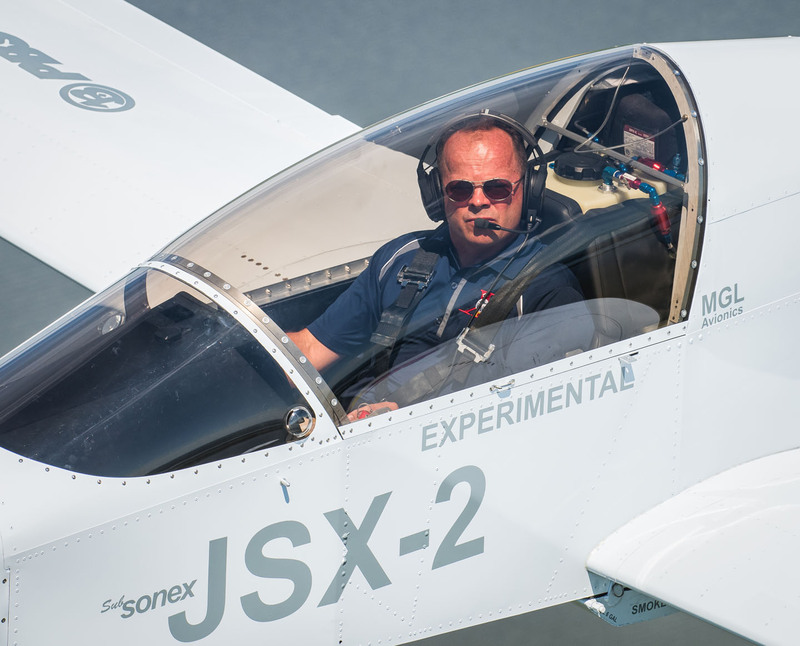 After successful pairing with the PBS TJ-100 engine, the SubSonex JSX-1 prototype achieved first flight in August 2011 and completed a successful flight test program in 2012. 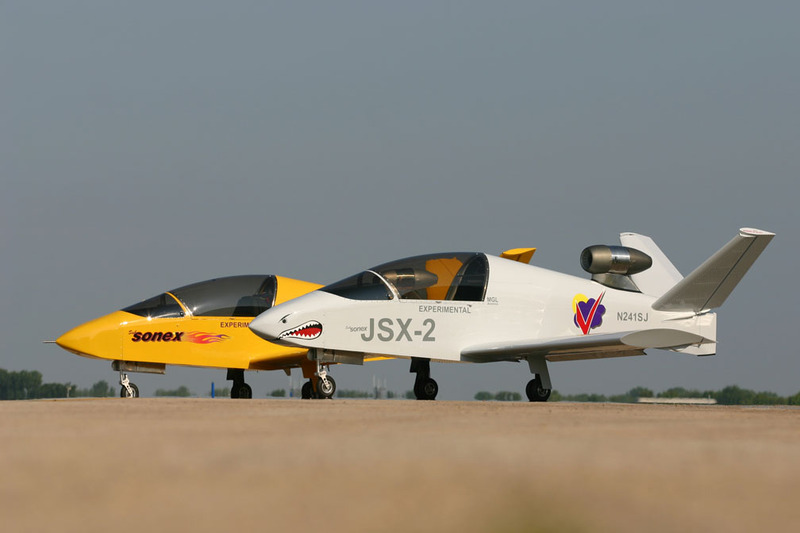 SubSonex JSX-2 prototype achieved first flight in July of 2014, the first kits with engines were shipped to customers in February, 2015 and the SubSonex JSX-2 prototype can be seen performing at air shows around the country. 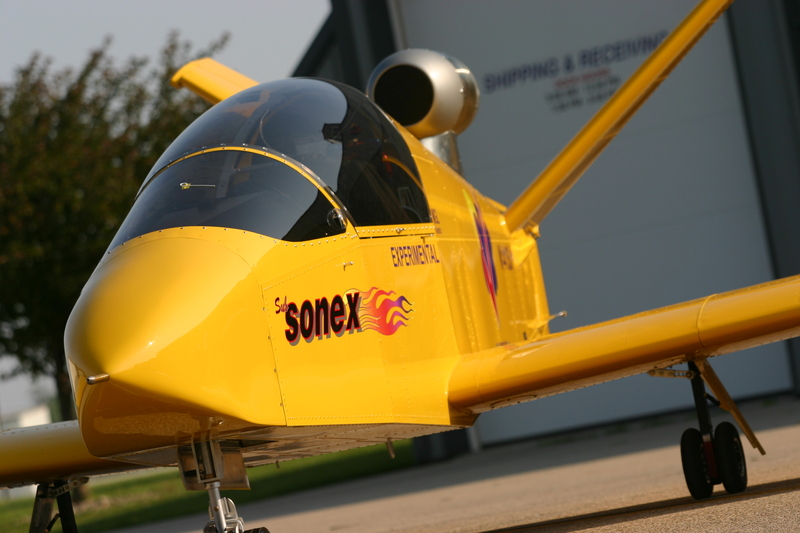 The SubSonex Personal Jet has enjoyed a huge amount of great press since its introduction! 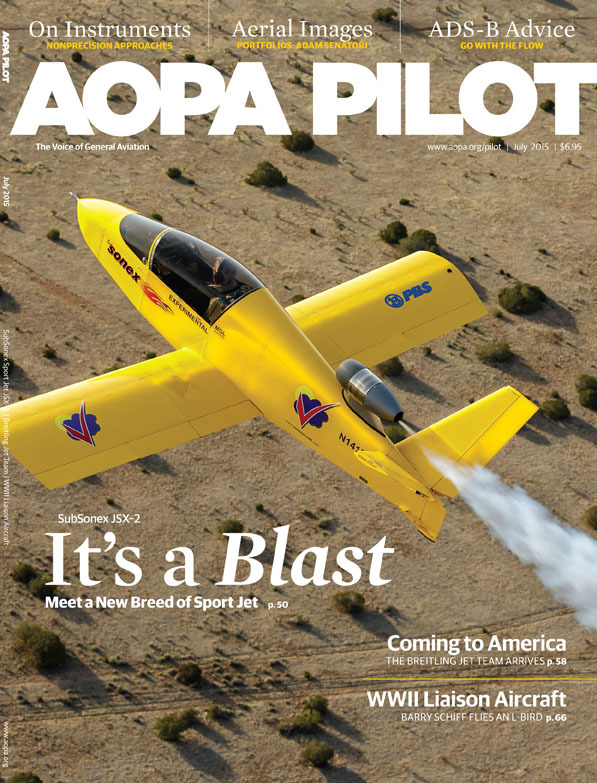 Click on these magazine covers to read feature articles by industry mainstays Kitplanes Magazine, AOPA Pilot and EAA Sport Aviation/Experimenter. See more great SubSonex press coverage in the SubSonex Articles Archive. See all factory press releases about the SubSonex in the SubSonex Press Release Archive. The SubSonex is quick in every way, and that includes the kit! Our jet is sold only as a Quick Build Kit to ensure that pilots with the motive, means and opportunity to own and operate a very, very light jet can be successful. 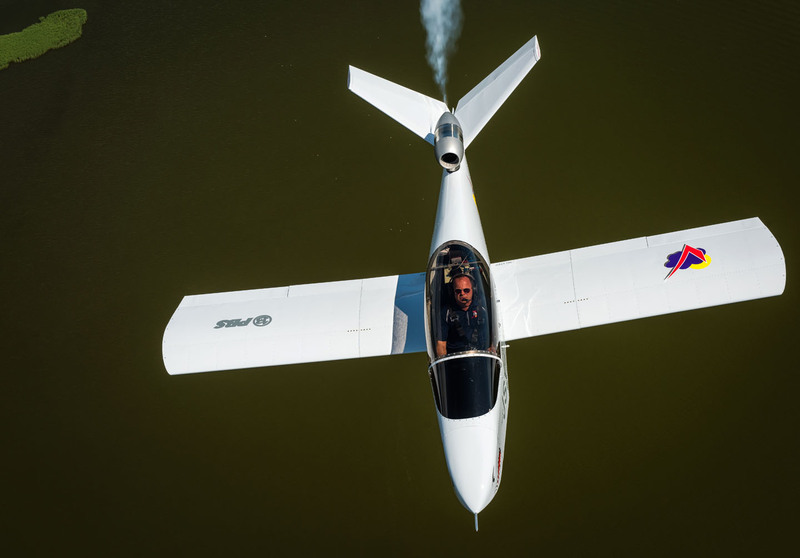 We want you to make the SubSonex a reality for your flying life in the shortest possible time with a streamlined, easy construction process. 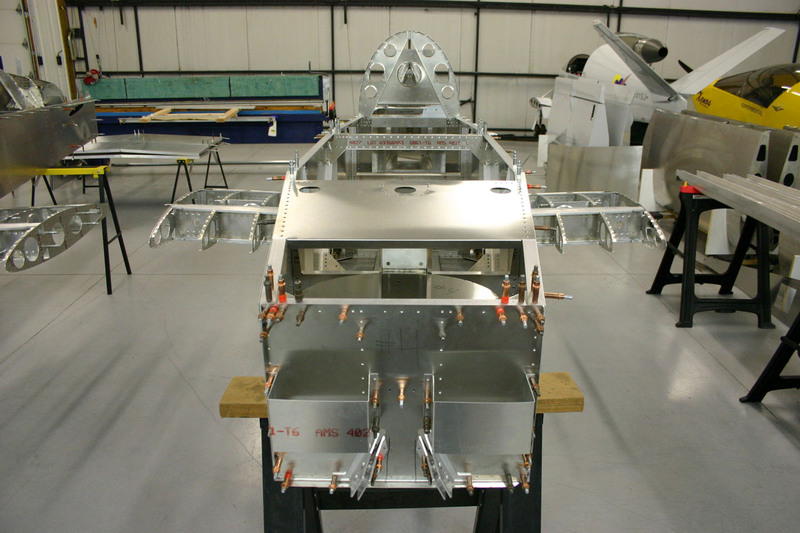 Pre-Built Fuselage, Wing and pre-installed canopy. Parts to build & install tail and control surfaces, including cockpit controls, push rods and cables. Parts to trim and install windshield. Retractable landing gear, wheels and brakes including cockpit controls, pre-wired harnesses and required installation items. All fuel system parts & plumbing. All fiberglass parts and molded ABS plastic fairings. 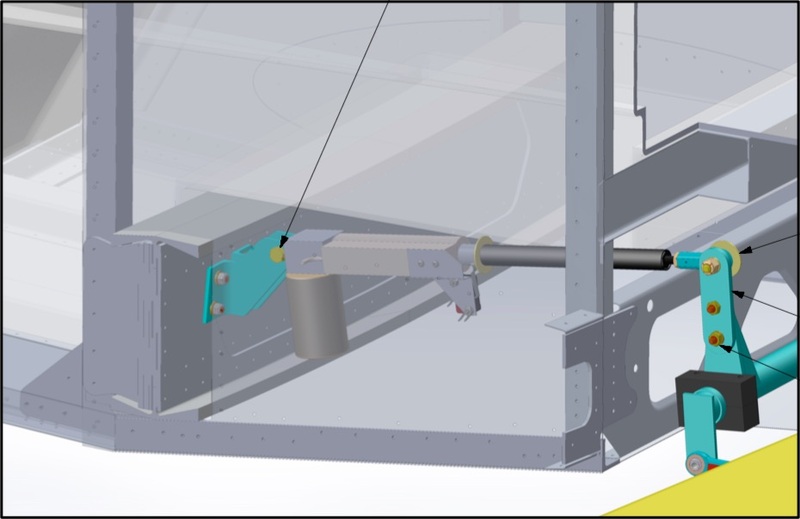 AeroConversions Trim System (elevator trim). ABS molded cockpit side panels in black. SubSonex Hardware Kit from WB Parts. 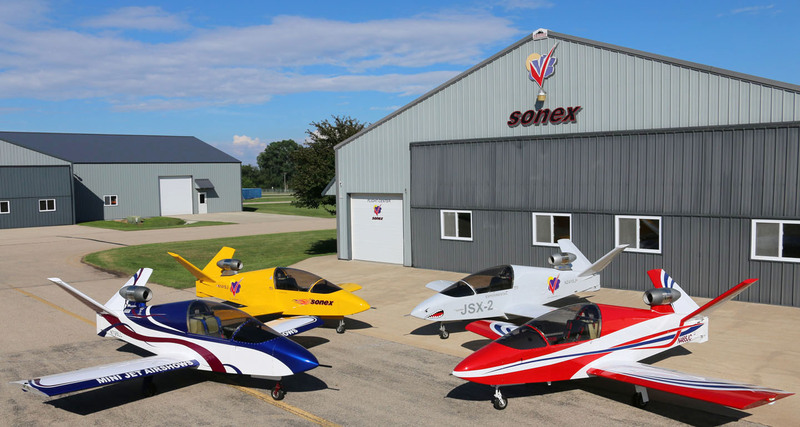 Read more about Sonex Aircraft Hardware Kits. 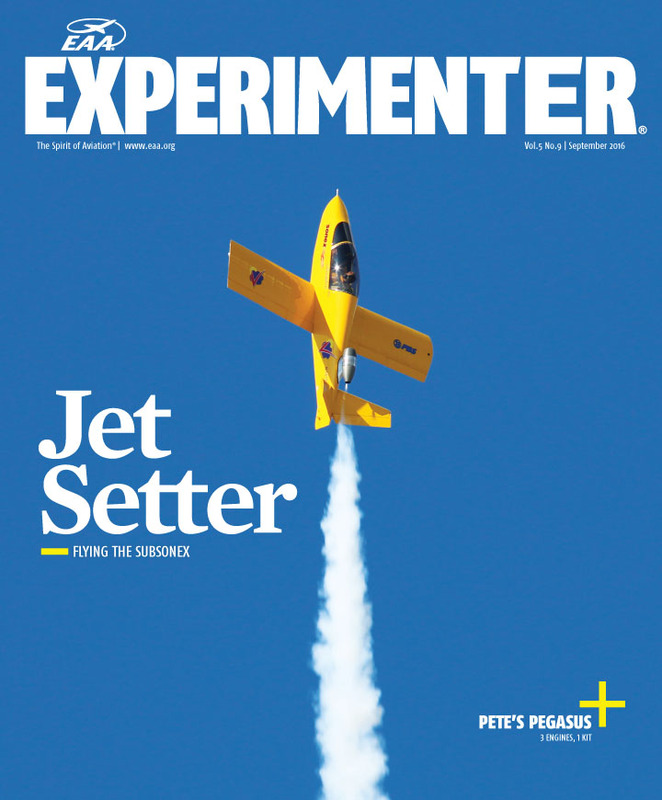 Amateur Built Legal: The SubSonex Quick Build Kit has been audited by the FAA's National Kit Evaluation Team and satisfies the requirements of the Experimental Amateur Built "Major Portion" rule, commonly known as the "51 Percent Rule." 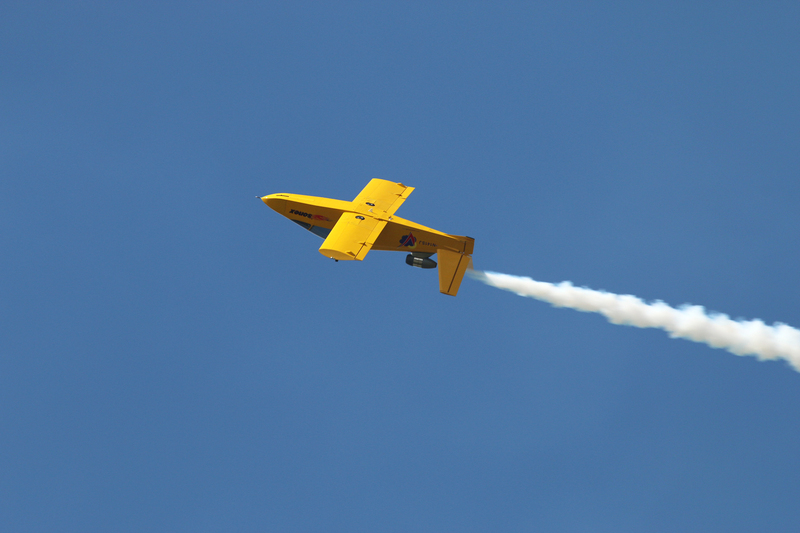 Learn More and download the FAA NKET SubSonex Check List on our Aircraft Certification Page. 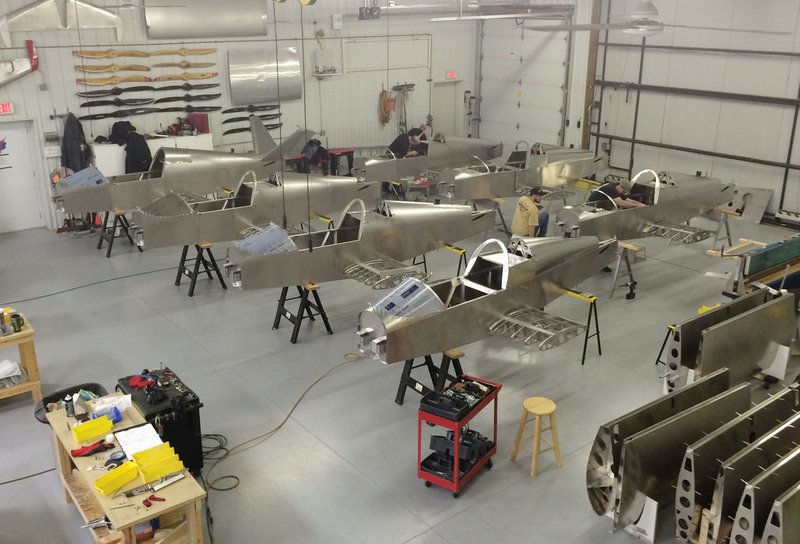 Learn More about Sonex Aircraft Quick Build Kits! SubSonex Ultra Quick Build Kit shown (for Experimental Exhibition category registration) with optional SubSonex Triton Trailer. For only $5,000 you can upgrade to the SubSonex Ultra-Quick Build Kit. The Ultra Quick Build Kit is intended for flight under Experimental Exhibition category rules. Completed Tail and Control Surfaces. 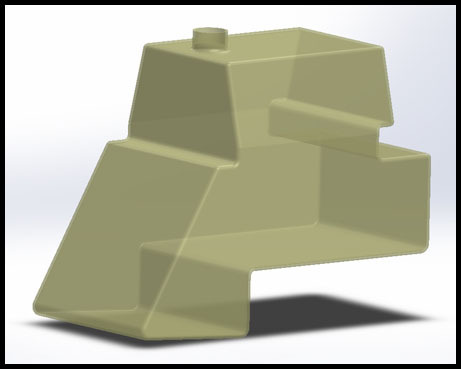 Construction of small items like landing gear doors, hinged access doors, etc. 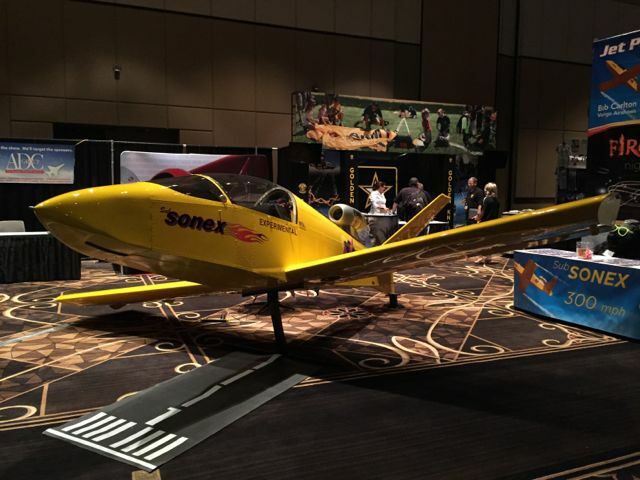 Under Experimental Exhibition category regulations, SubSonex customers also have the freedom to take advantage of builder assist centers or aircraft finishing services to do some or all of the remaining work for them! 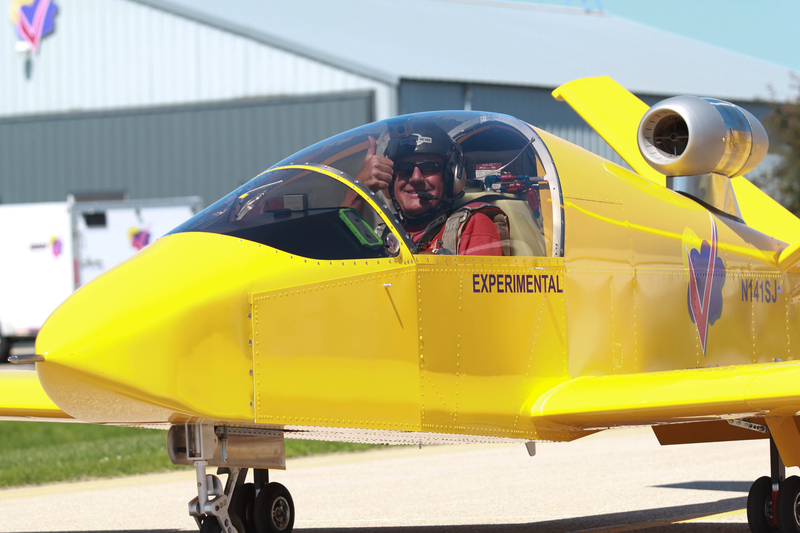 Experimental airworthiness certification under the Exhibition category is perfectly-suited to the mission of an aircraft like the SubSonex. 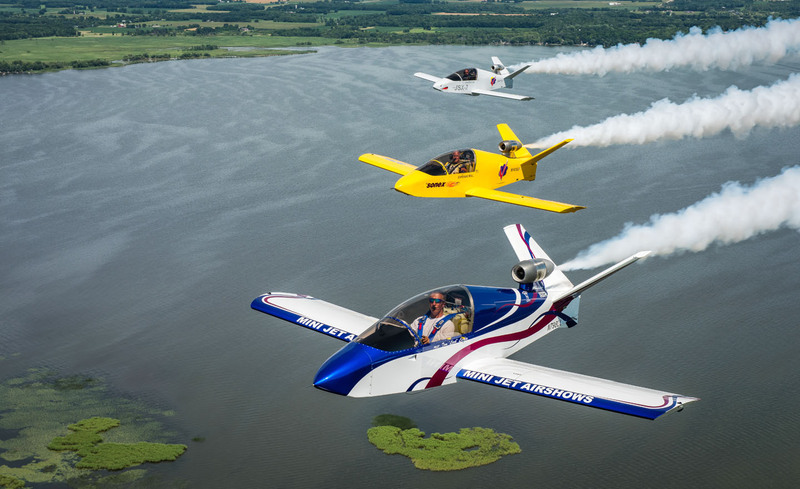 There are no 'proficiency flight area' restrictions required for aircraft of this type in the exhibition rules, and this is an aircraft that you'll certainly want to show-off at organized events. 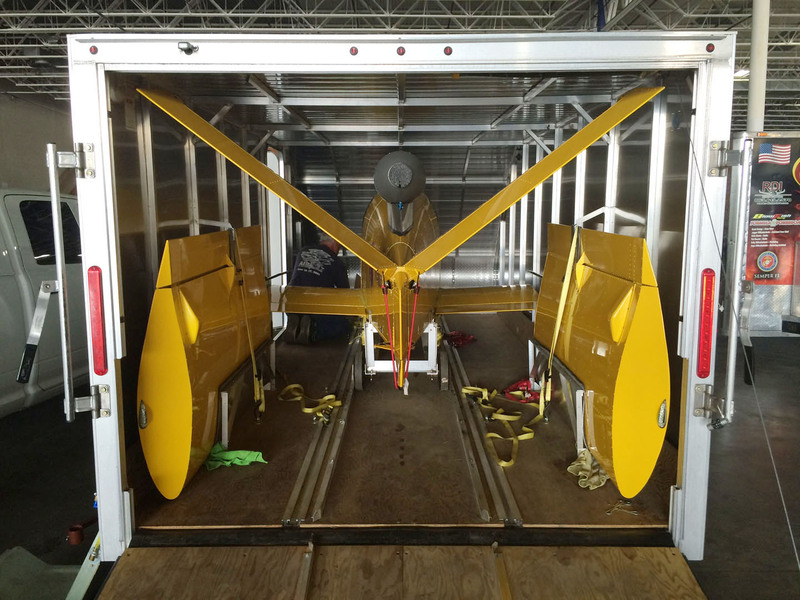 You can either fly the aircraft cross-country to an event, or utilize the SubSonex's easily removable outboard wing panels to transport the aircraft in a compact trailer. 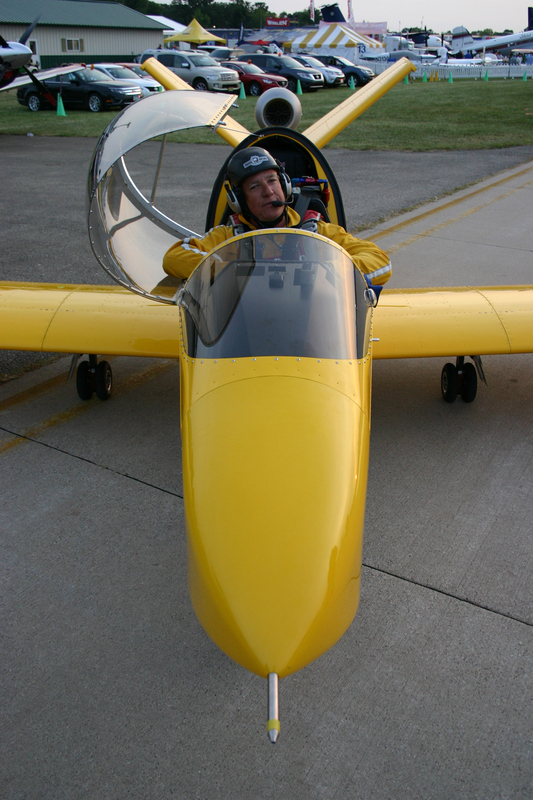 Pilots used to flying warbirds, competition aerobatic planes, sailplanes or other specialized aircraft are well-versed when it comes to working within the operational restrictions for exhibition aircraft, and the kit construction freedoms afforded to aircraft in this category is a perfect fit for the desires of many SubSonex Personal Jet customers. A downloadable Experimental Exhibition vs. EAB Summary has been prepared to help SubSonex customers make their decision. 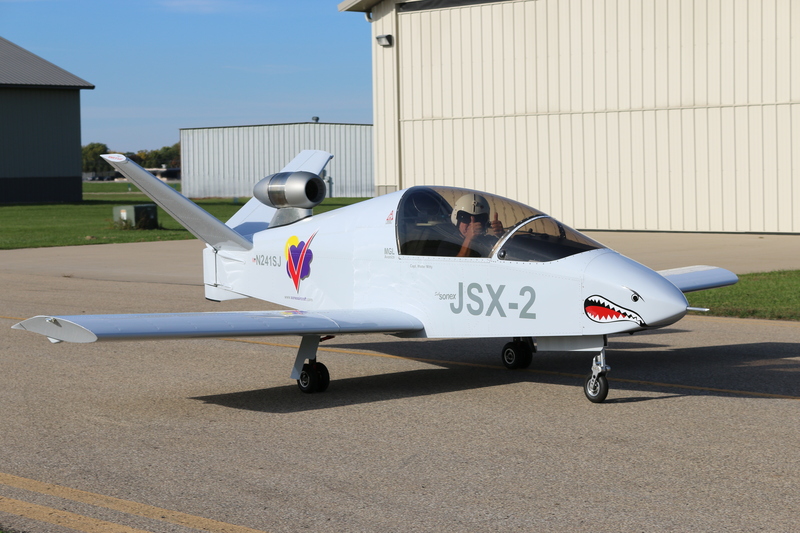 The SubSonex JSX-2 Personal Jet features Retractable Main and Nose Landing Gear via a pneumatic (air powered) system, avoiding the mess of hydraulic fluid and system air bleeding procedures. The system includes a small air pump and accumulator tank. The tank automatically refills as-long as the aircraft master is on. 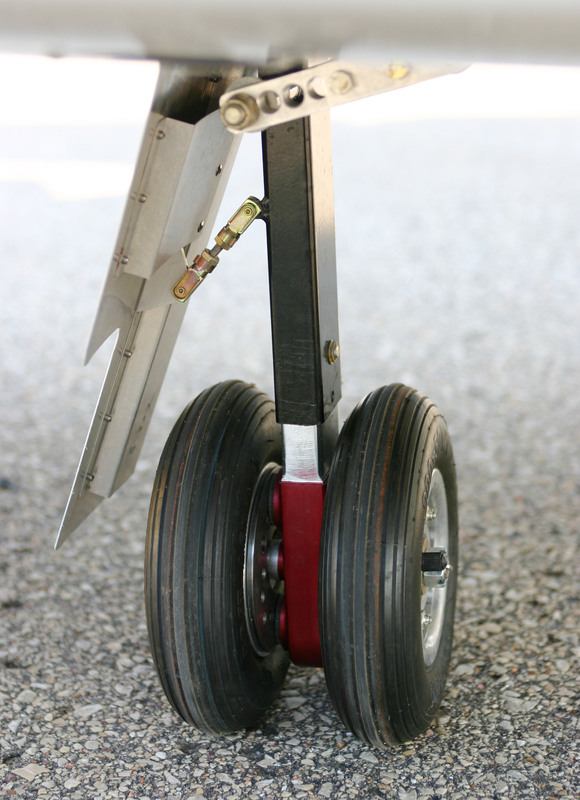 Both Main and Nose gear feature over-center mechanisms for reliable down-lock of the gear, and the SubSonex Nose Gear is steerable. Actuation of the gear is controlled by a pneumatic manifold switch in the instrument panel and a gear position indicator LED light system is included. A flashing LED gear-up warning light system is also included, which is activated via a flap position interlock to help avoid inadvertent gear-up landings. 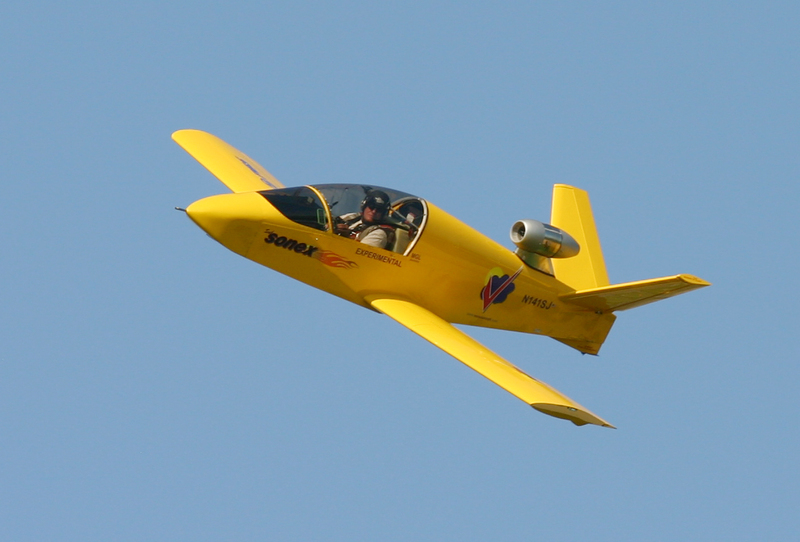 A gear-up landing in the SubSonex is a relative non-event with the aircraft's flat belly, requiring minimal repairs. 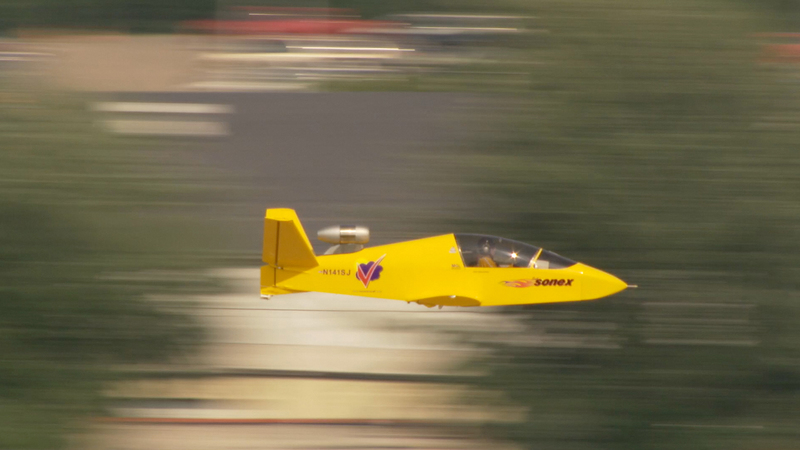 With the SubSonex's slow stall speed, an off-field or grass strip forced landing should be made gear-up, and is highly survivable. 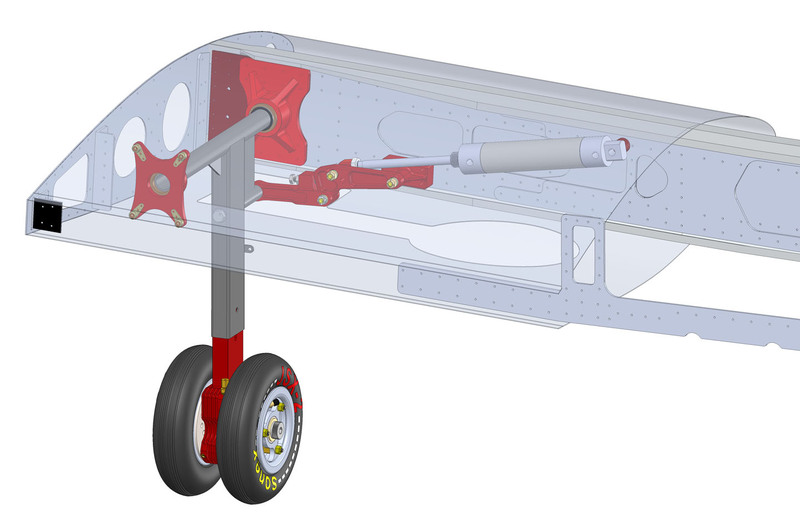 The SubSonex Main Landing Gear features a unique integrated shock absorption/axle/brake housing assembly with an improved 4-pad hydraulic braking system similar to the AeroConversions Aerobrake Hydraulic Brake System. 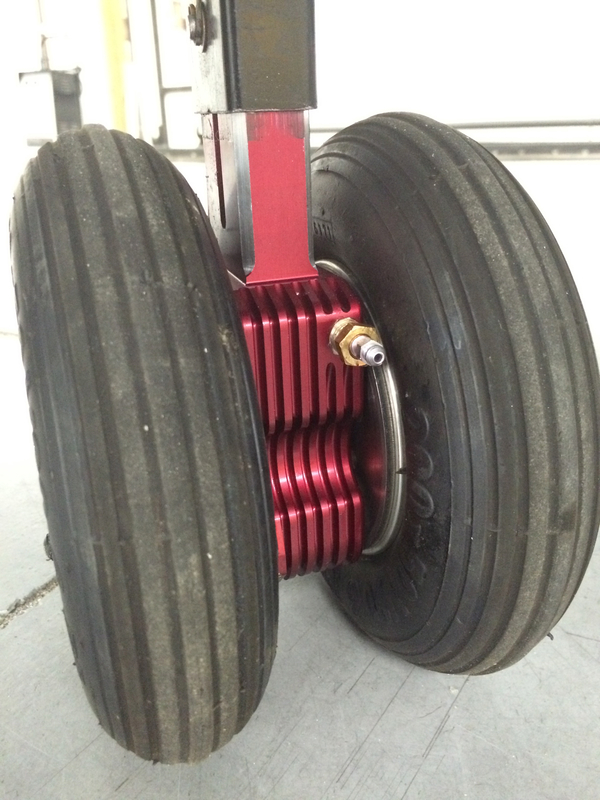 Shock absorption is provided by heavy-duty machine springs in the retractable gear leg. 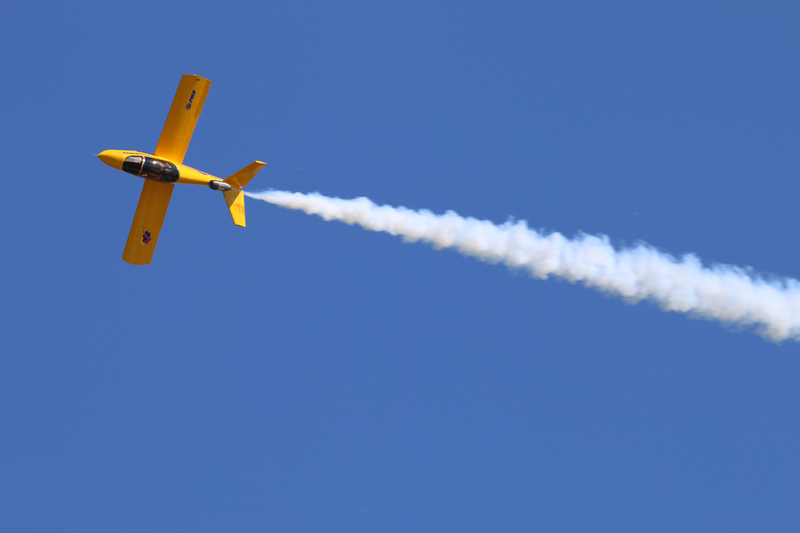 Because there is no Type Certificate available for the SubSonex, pilots will need a Letter of Authorization (LOA) from the FAA that is specific to the aircraft. Working commercial pilots operating jet or turboprop aircraft can easily qualify for the LOA. 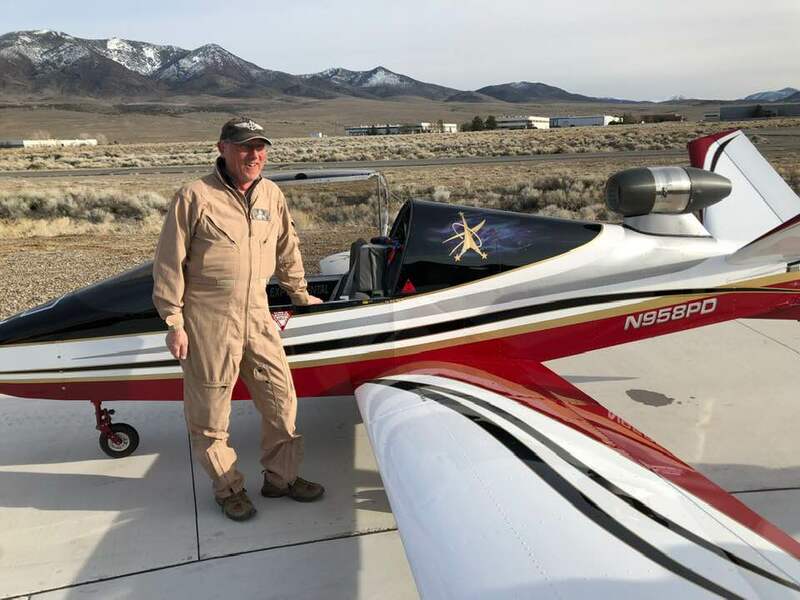 Pilots without previous jet experience can also qualify via the Desert Aerospace BonusJet training program, and several pilots with Sonex or other quick, light piston aircraft experience have received their LOA's via the BonusJet program. Check-out the SubSonex Transition Training Webinar! 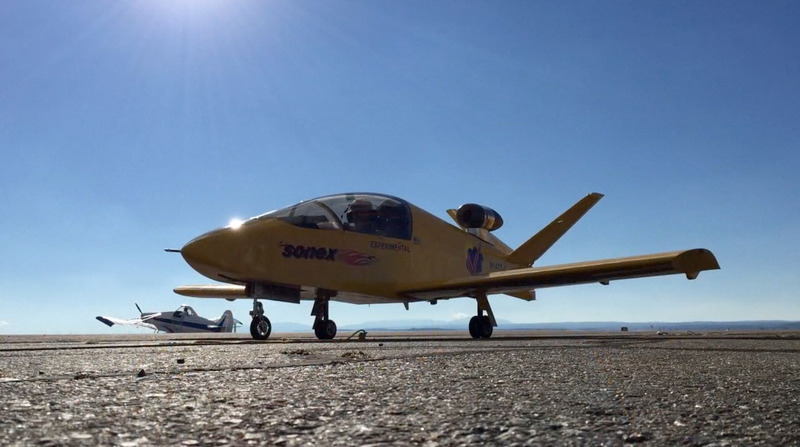 Contact Desert Aerospace for More Information about SubSonex Transition Training in the BonusJet! Subscribe to the SubSonex Mailing List! Wing Area: 60.0 sq. 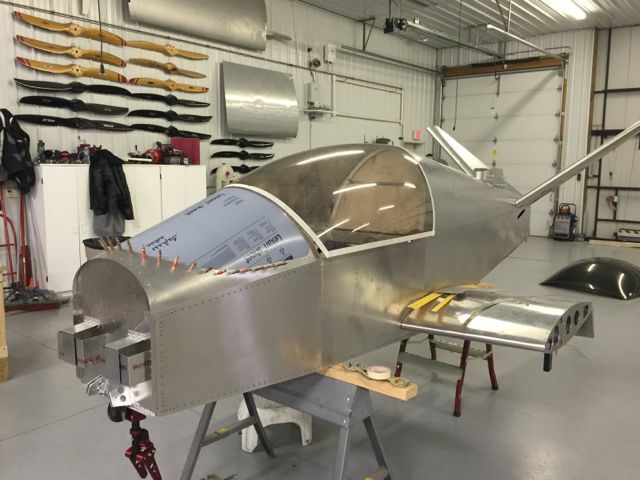 ft.
Total Width w/Outboard Wing Panels Removed: 76"
See detailed pricing below with our cost estimating worksheet* and see why Sonex aircraft offer the Best Sport Aircraft Performance Per Dollar! 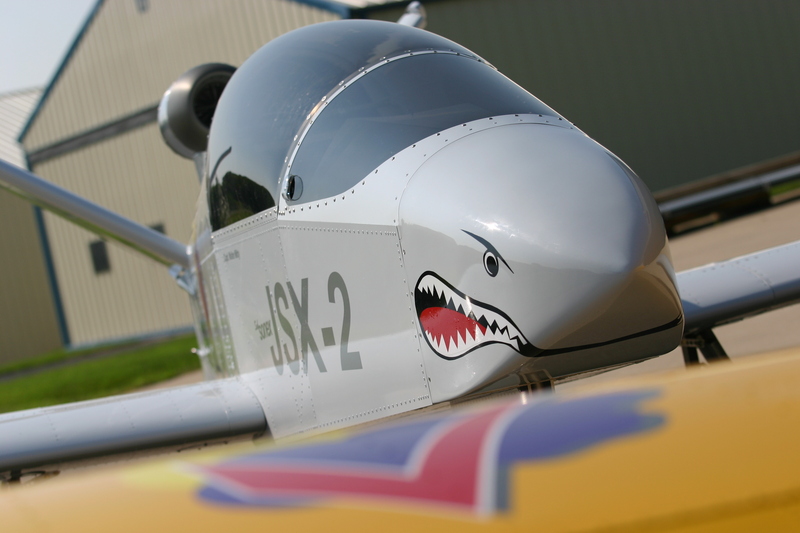 Airframe Kits include blind rivets from Sonex Aircraft and full Hardware Kits from WBParts. Find out more about Hardware. 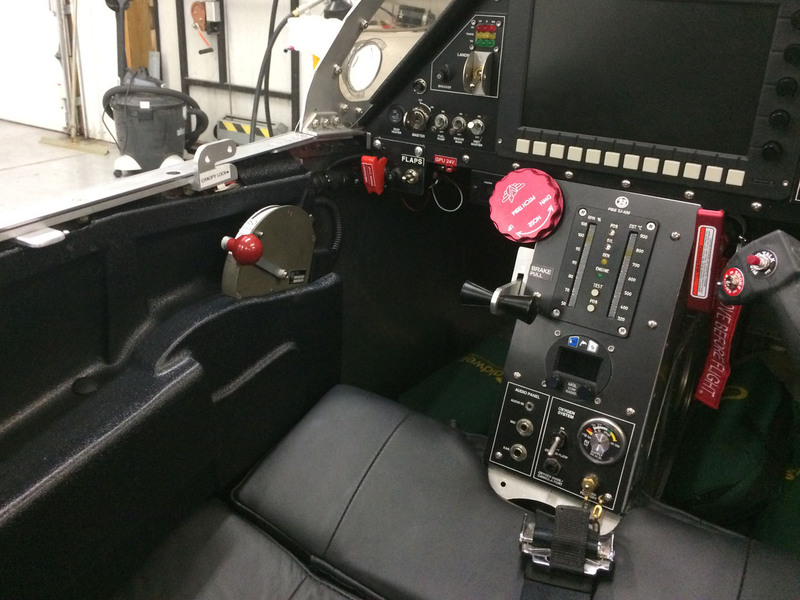 Includes: PBS TJ-100 Engine, Throttle Control, PBS Engine Monitoring Instrument, and All PBS Installation Accessories required for the SubSonex. Includes: MGL iEFIS Explorer package with all sensors, harnesses and fuel level probe; MGL V6 Com VHF transceiver with harnesses and antenna (controllable by iEFIS unit); Sandia STX 165R remote-mount Mode-C transponder with harnesses and antenna (controlled by iEFIS unit). Upgrade to a Trig Mode-S Transponder for $780. See All Instrument Options. Textured Nylon upholstery package. Upgrade to Heated Leather upholstery for: $300. See All Upholstery Options. 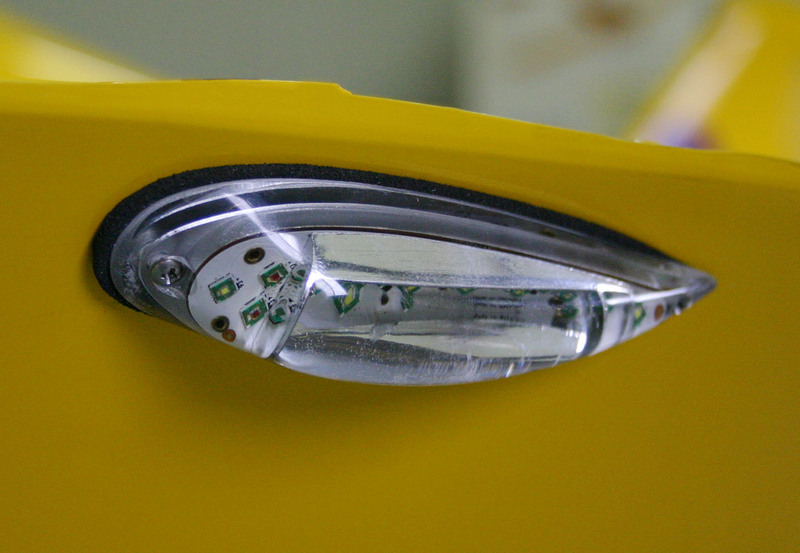 Aveo PowerBurst all-in-one wing tip LED light units (includes nav, position and strobe lights): $479. 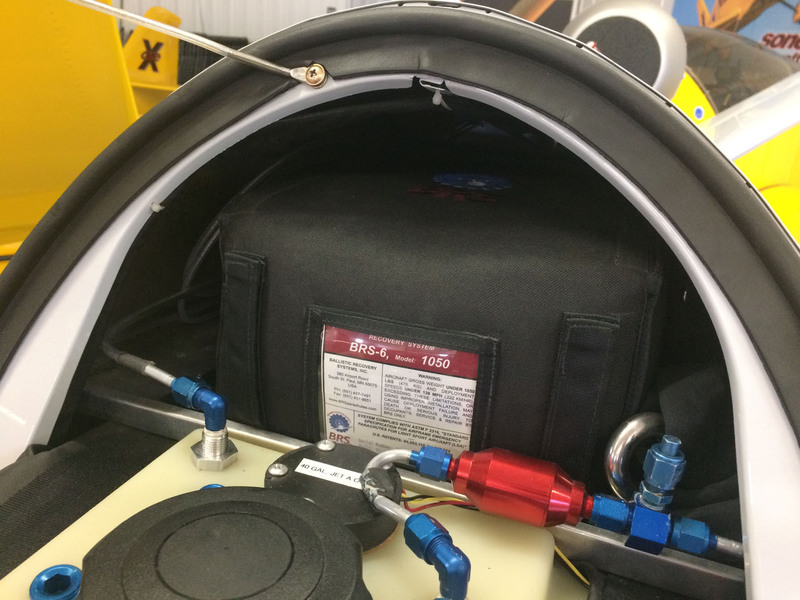 BRS full-aircraft parachute recovery system: $4,150. Mountain High Oxygen System: $2,174. *This chart / worksheet is provided to help you calculate an estimated finished cost of your airplane. While these finished costs are accurate as of the date of publication, they are not guaranteed. 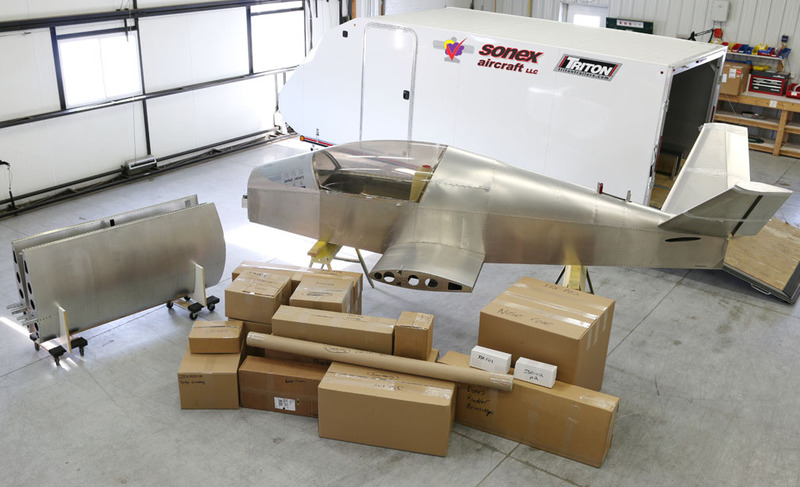 Some of the items needed to finish your aircraft are not provided by Sonex. The TJ-100 turbojet engine is produced by PBS Velká Bíteš of the Czech Republic, a large manufacturer of rotary machines with roots dating-back to 1814. 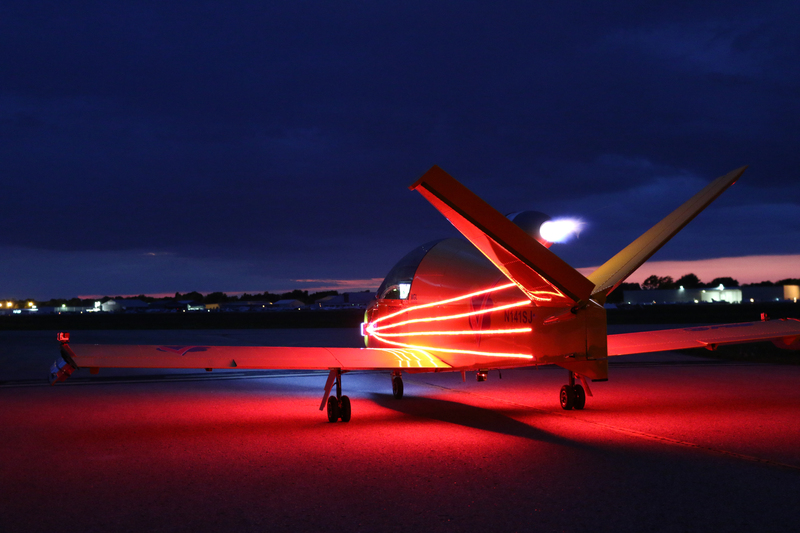 The TJ-100 is designed for UAV, UCAV, experimental aircraft and motorized gliders with hundreds of units delivered since its introduction in 2008. The engine is a true "plug & play" package featuring integral ECU, starter/generator and oil system, and ships complete for the SubSonex with engine instrumentation, throttle control, pre-wired harnesses and other installation components. 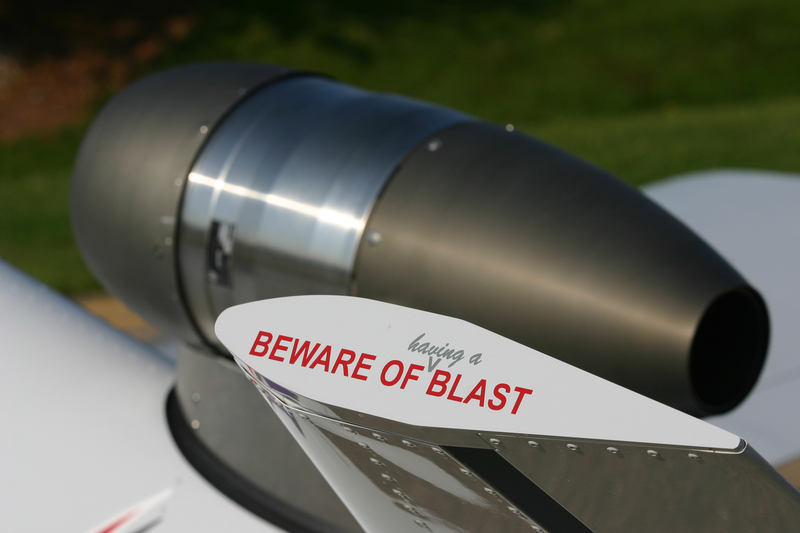 The 258.53 lbf [1150 N] thrust engine continues to exceed the expectations of PBS designers and customers alike, with flawless performance and an outstanding service history, all backed by top-notch customer service. 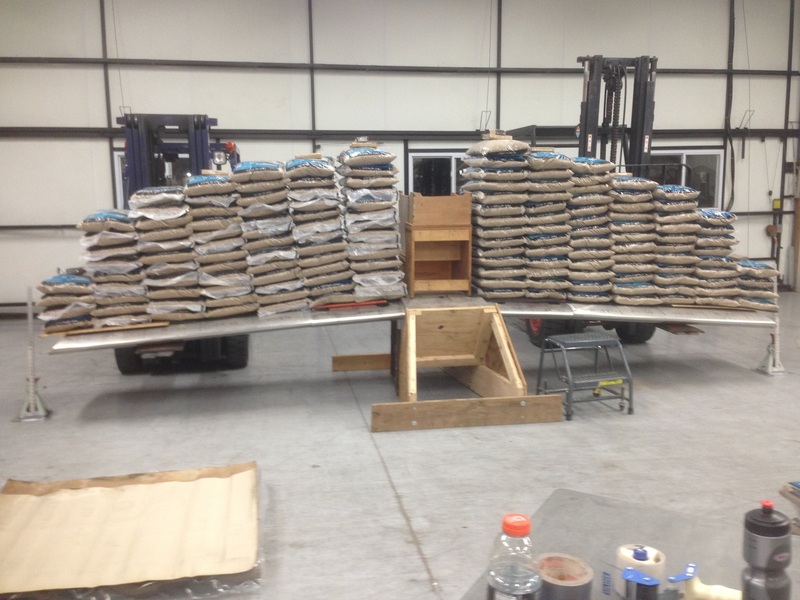 The TJ-100 can fit in a small crate to be economically shipped for service to the PBS factory. *Model and Specifications for SubSonex application subject to change without notice. 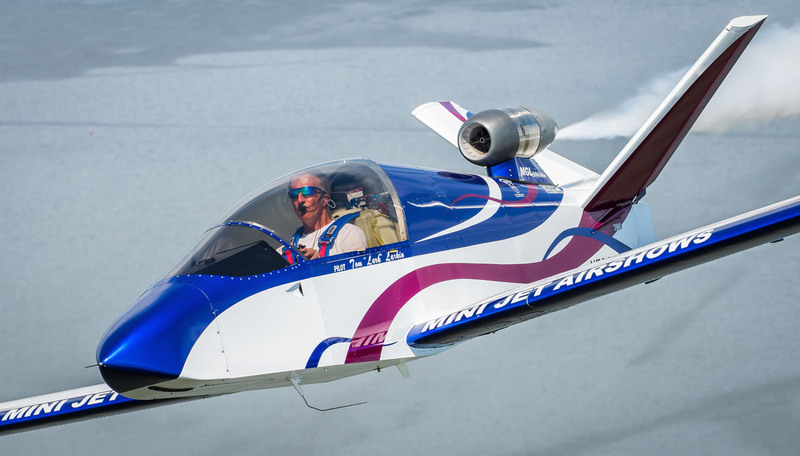 The SubSonex Personal Jet features the economical, capable and highly-integrated MGL iEFIS system as the aircraft's standard avionics package. MGL iEFIS Explorer 8.5" display package with all sensors, harnesses and fuel level probe. MGL V6 Com VHF transceiver with harnesses and antenna (controllable by iEFIS unit). Sandia STX 165R remote-mount Mode-C transponder with harnesses and antenna (controlled by iEFIS unit). An optional Trig TT22 Remote Mode-S Transponder is available as an alternative to the Sandia Mode-C unit. Optional MGL Autopilot Servos are also available (controllable by iEFIS unit). 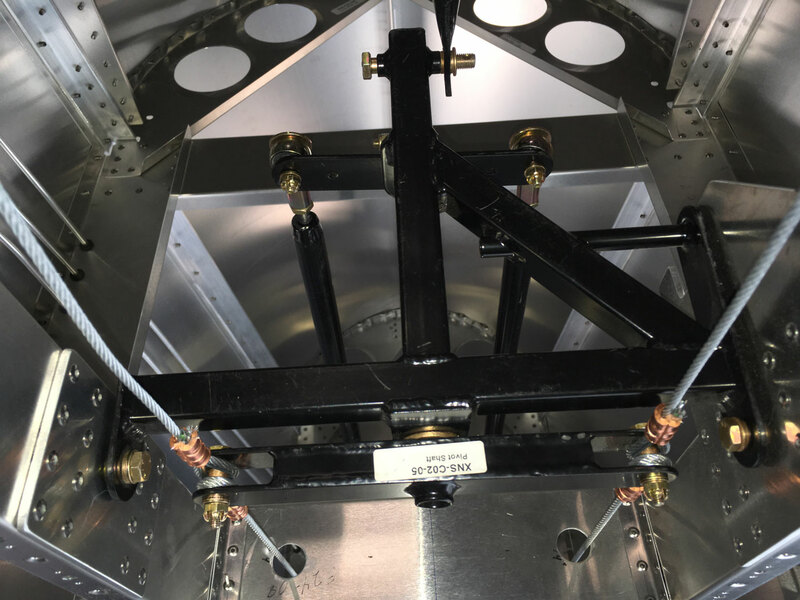 Like all experimental aircraft, customers may optionally choose to install any avionics system from any vendor of their choice, however, the MGL SubSonex instrument packages include pre-wired harnesses and other items to make avionics installation as simple and easy as-possible. SubSonex Instrument Packages Available starting at: $8,778. SubSonex Upholstery Packages Available starting at: $2,050. Upgrade to Heated Leather Upholsteryfor $300 more. The SubSonex is designed to use an optional ballistic parachute full-aircraft recovery system. 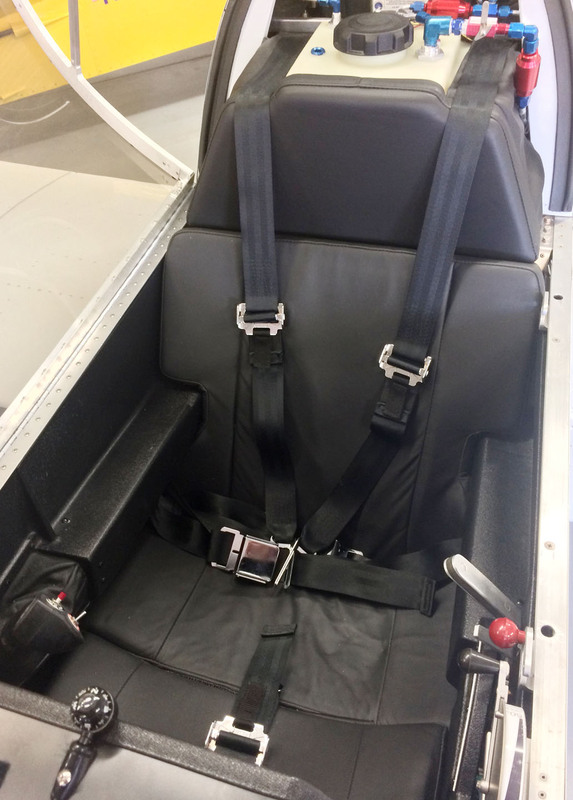 This eliminates the need for a pilot-wearable parachute, greatly improving seating comfort and further increasing available cockpit space. The SubSonex BRS System is available for: $4,150. The SubSonex Oxygen System by Mountain High features the EDS O2D1 Pulse Demand oxygen controller, allowing the system to provide up-to 15.2 hours of oxygen with the SubSonex system's 248 liter cylinder. The SubSonex system includes cylinder & cylinder mounting parts, Pulse Demand controller, panel mount refill station, oxygen level gauge and center panel installation placard. 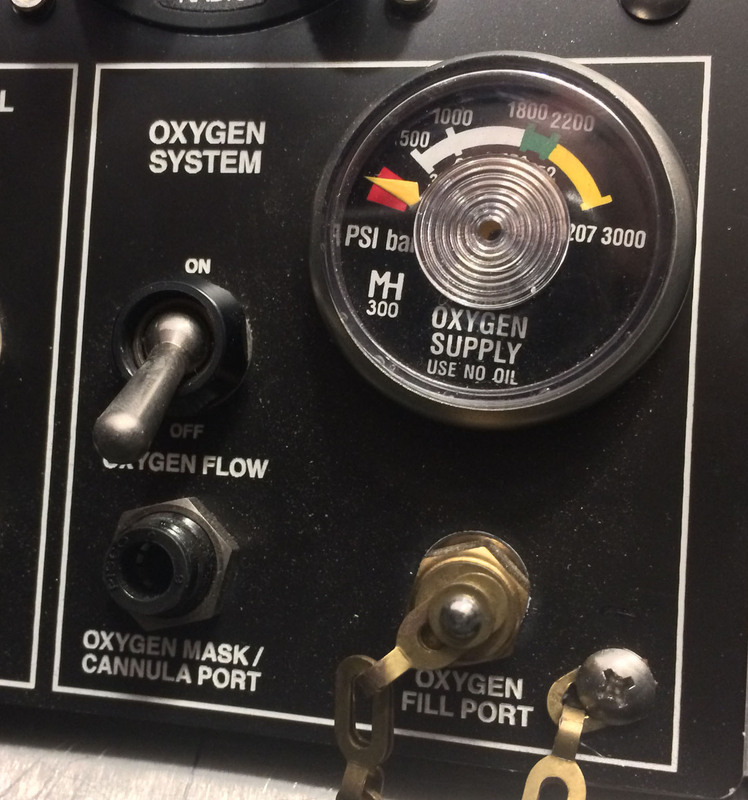 The SubSonex Oxygen System is available for: $2,174. Take it On the Road! The Triton TC-167 trailer is the perfect fit for taking the SubSonex Personal Jet on the road. 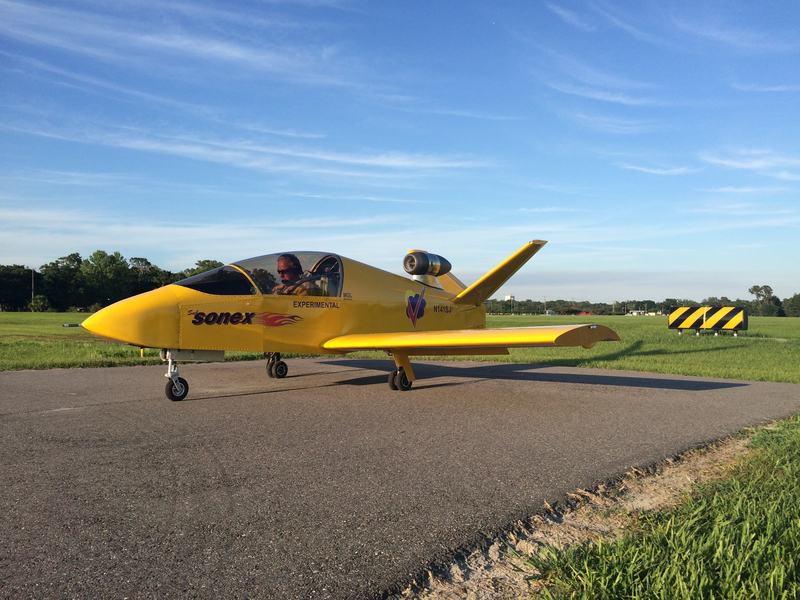 Sonex Aircraft provides wing racks for the trailer and clearances the TC-167's door jamb slightly for the SubSonex center wing section. 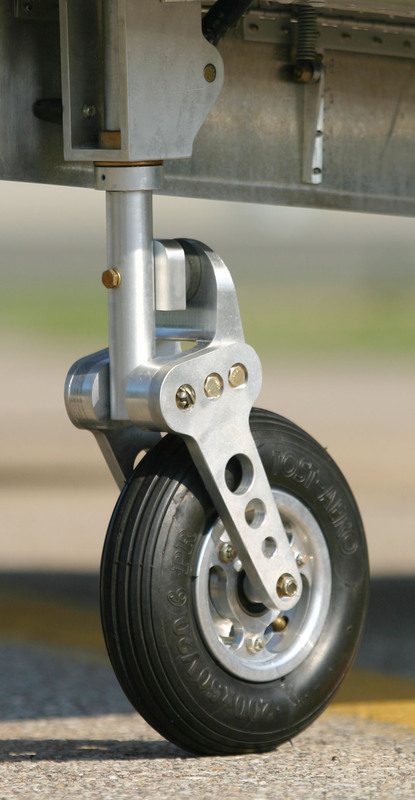 The SubSonex plans include drawings to make a simple dolly and guide rails for your trailer so that the aircraft can be trailered gear-up, not riding on it's landing gear suspension, and can be loaded safely and easily by one person using an inexpensive electric winch. 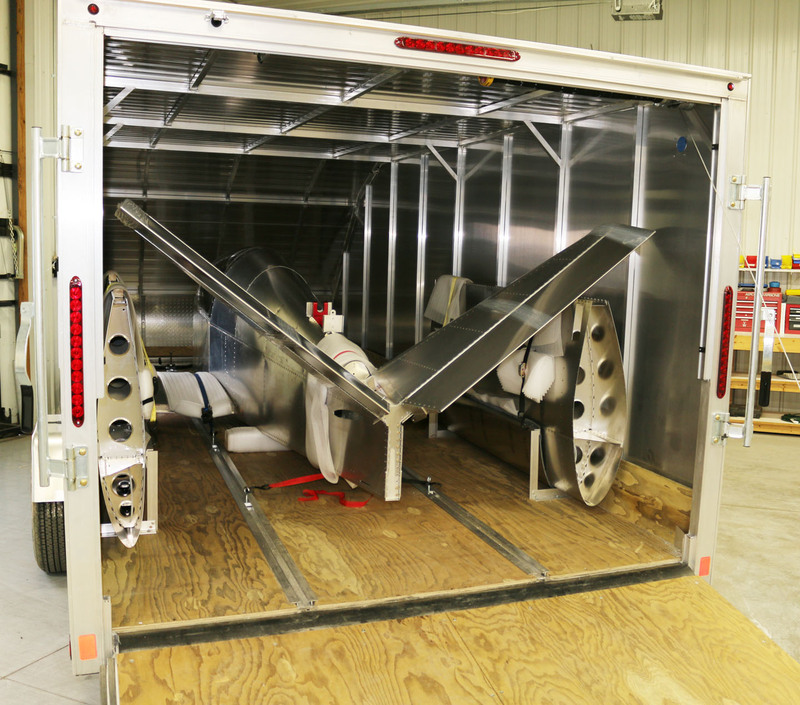 The SubSonex Triton Trailer is available for: $8,000. 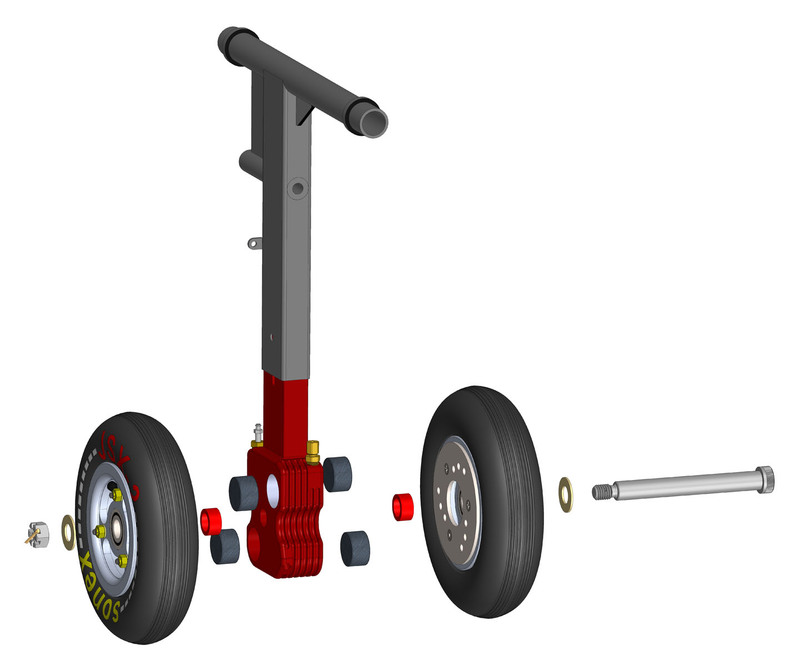 The SubSonex plans include drawings to build your own SubSonex trailer dolly for easy loading of the SubSonex into the trailer with a remote control electric winch! 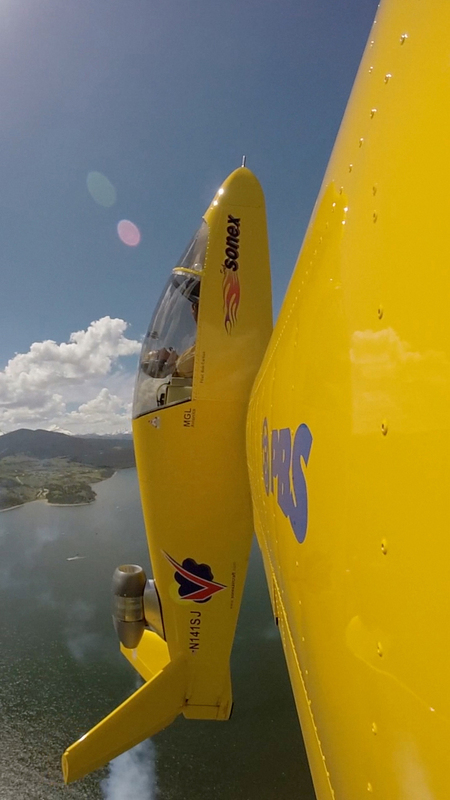 AOPA SubSonex Flight Review Exceeds Quarter Million Views: Watch it Again and Share! Read about how the SubSonex project began, and all the developments along the way! 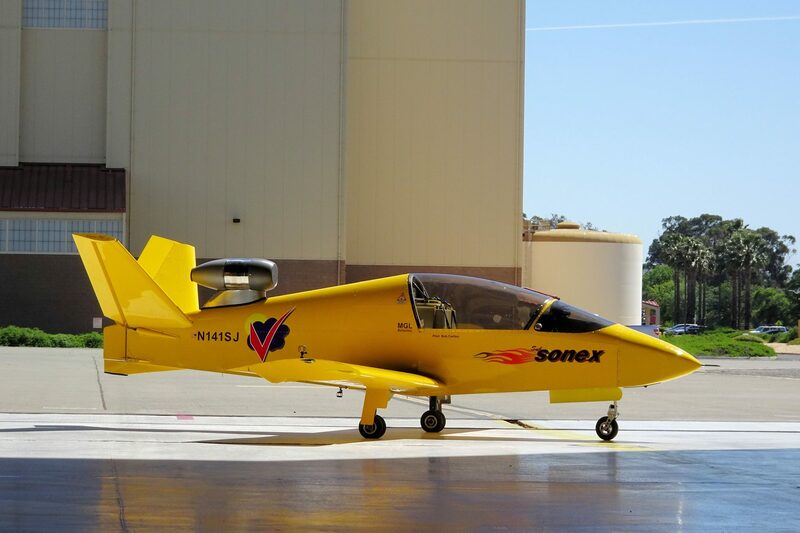 Sonex Aircraft's Waiex, Xenos and SubSonex aircraft models all share a very special feature: the Y-Tail! 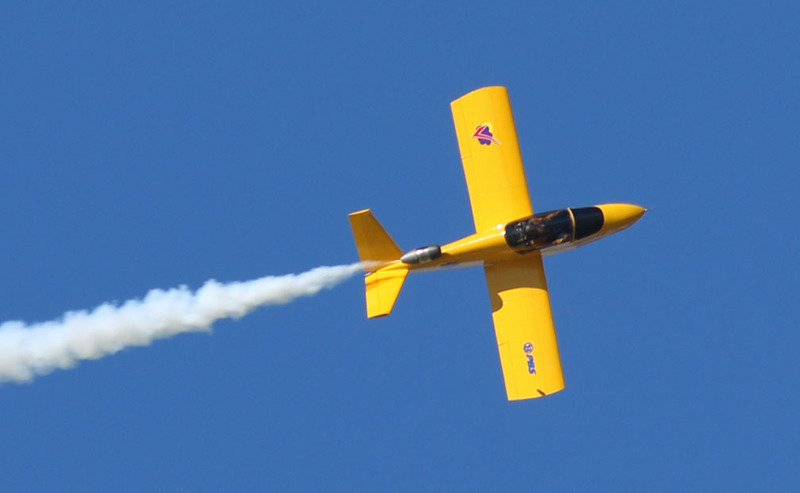 The Y-Tail is our unique version of the V-tail that many pilots are familiar with. What makes it a Y-Tail? The rudder! Y-Tails feature not-only a V-tail set of mixed rudder and elevator controls, but also a small rudder at the base of the tail, changing the shape of the V-tail to resemble the letter "Y." 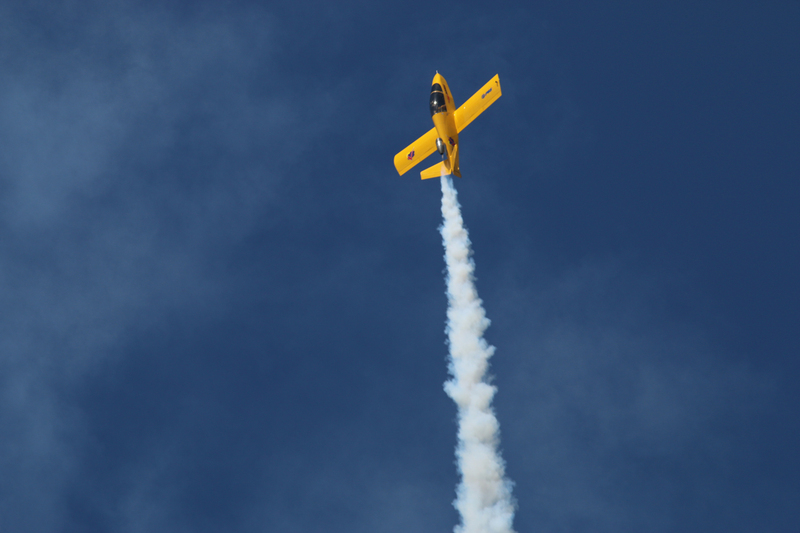 Y-Tails not-only make Waiex, Xenos and SubSonex aircraft look cool, but they also offer superior handling vs. conventional V-tails, offer a simple way to drive tailwheel steering, and gives the exhaust of the SubSonex turbojet engine a place to go. 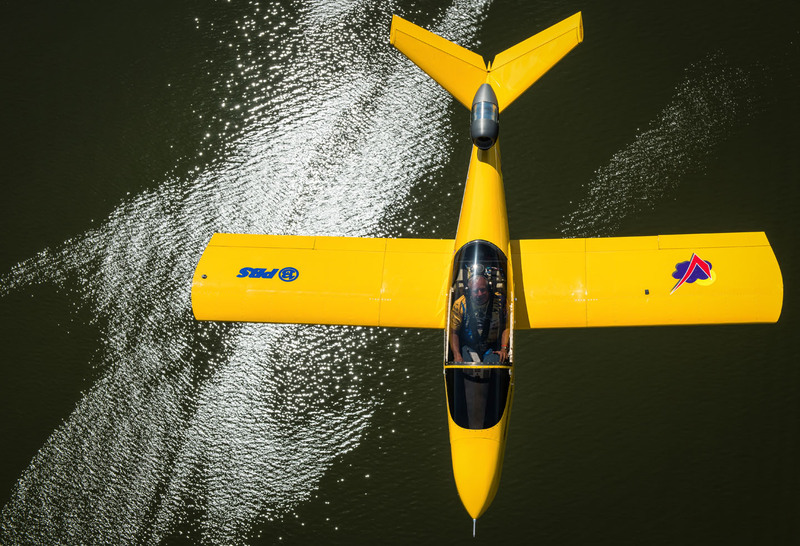 The Y-Tail's rudder gives the configuration enhanced rudder authority and stability vs. a conventional V-tail -- you need a rear-view mirror to tell whether you're flying a Sonex or a Waiex! So what makes a Y-Tail work? 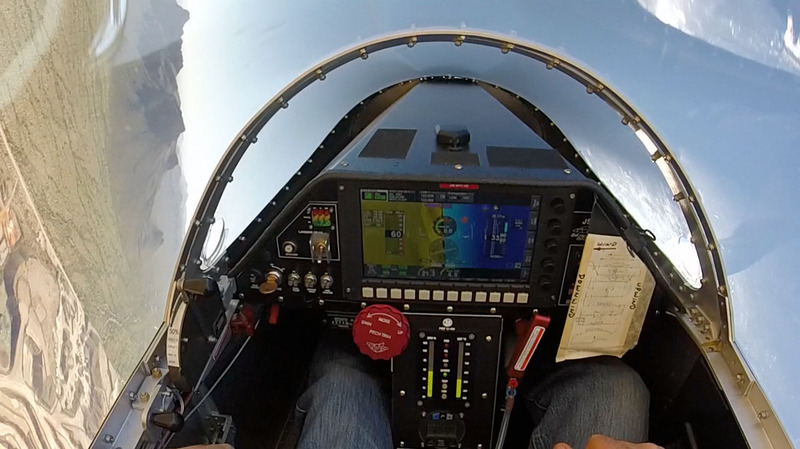 Kitplanes editor, Xenos and SubSonex builder Paul Dye recently posted an explanation and videos of the Y-Tail in-action to his Kitplanes blog -- Check it Out! Why a Y-Tail? Why Not? 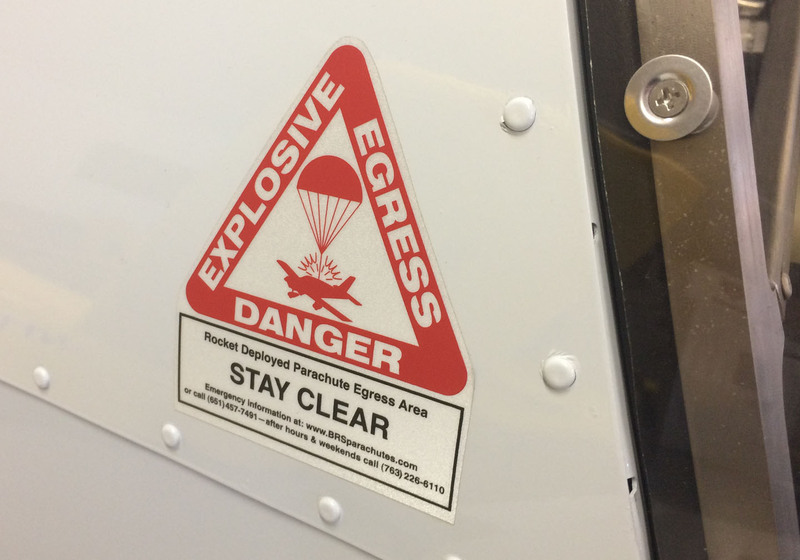 SubSonex: Beware of [Having a] Blast! 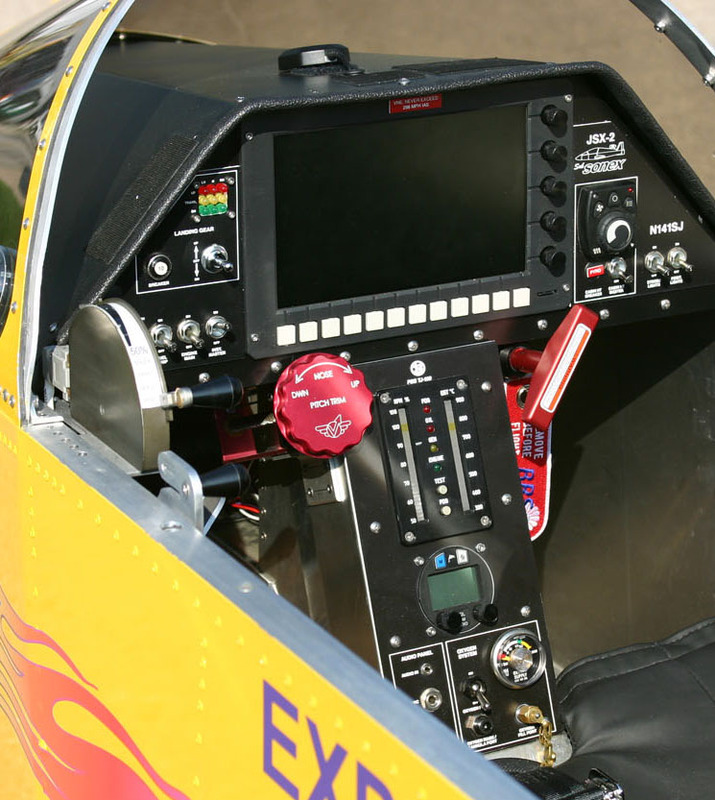 New SubSonex Electric Flaps allow the TJ-100 throttle quadrant to be lowered to a more comfortable position on the cockpit wall. 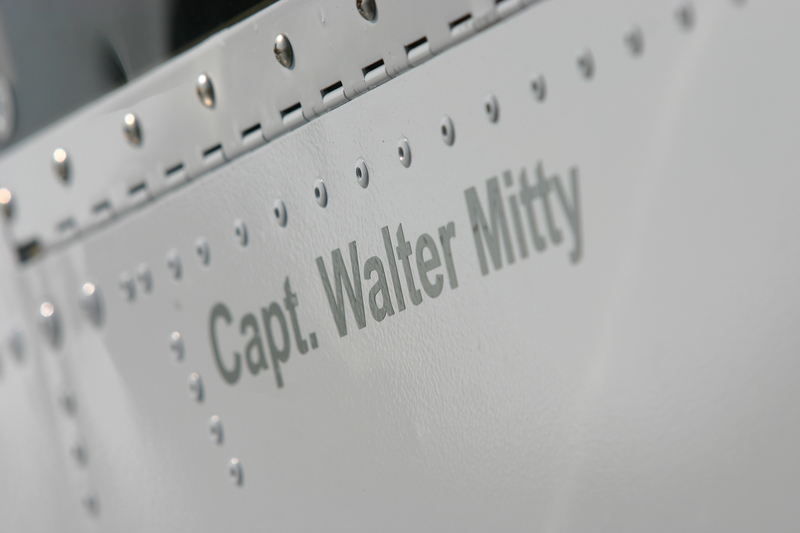 SubSonex: For the Walter Mitty in All of Us! 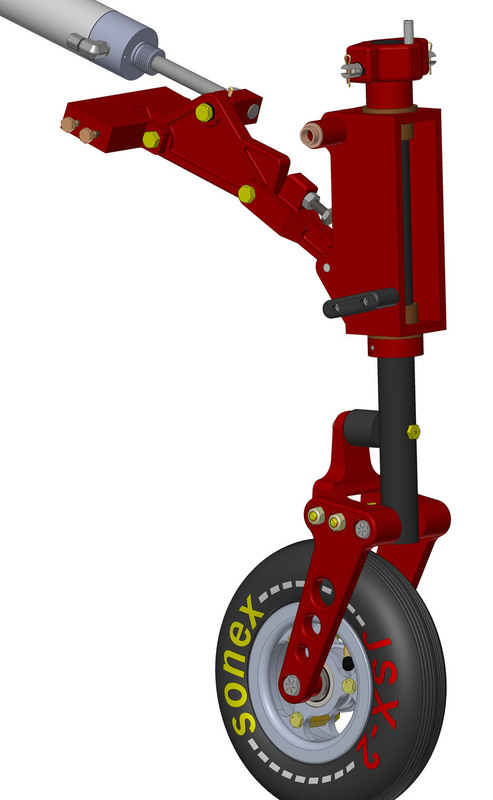 SubSonex features a unique integrated shock absorber/axle/brake housing assembly with improved 4-pad braking. First SubSonex Kit Shipment! Shown with Exhibition Upgrade and Triton Trailer Option. The SubSonex now features Electric Flaps! 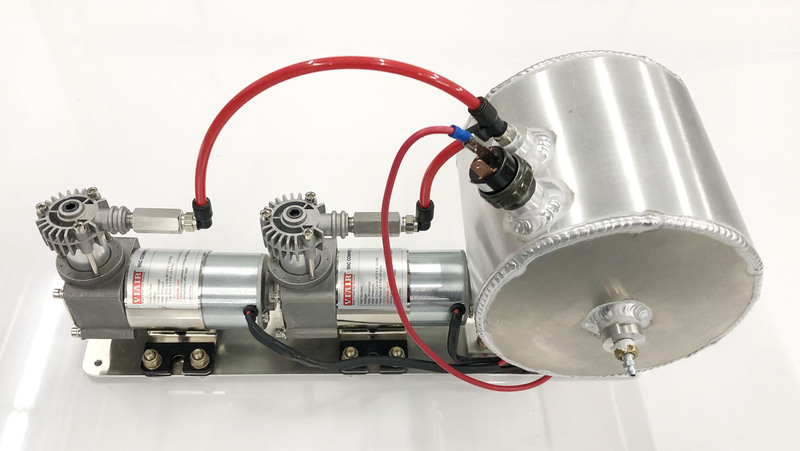 Dual Pump 24 Volt Air System with an Aluminum Tank is a new feature in the SubSonex for 2019! 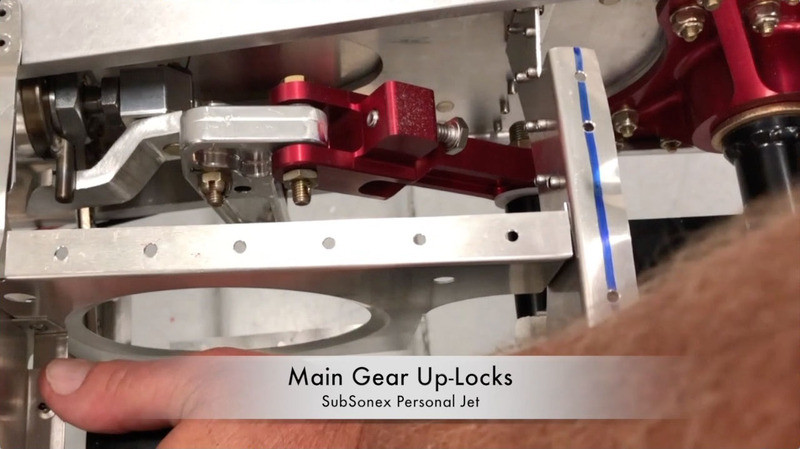 The SubSonex now features Main Gear Up-Locks to prevent sagging of the gear during G-Loads. 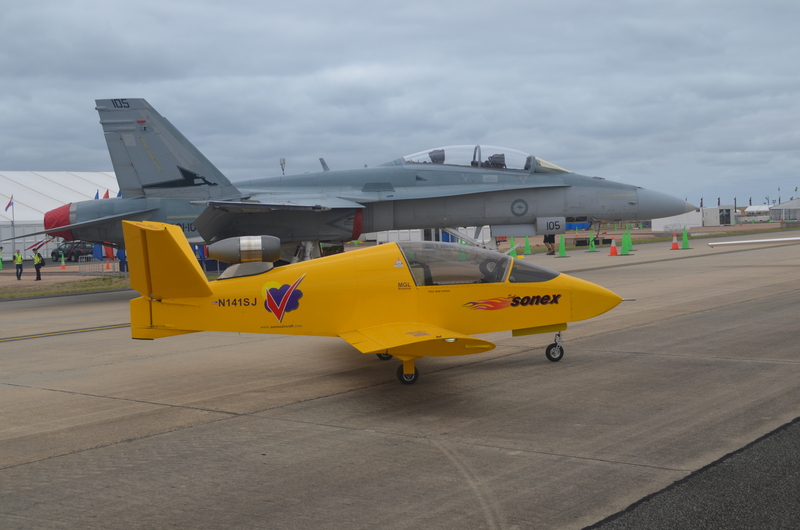 You'll Always get Preferred Parking at an Airshow with the SubSonex! 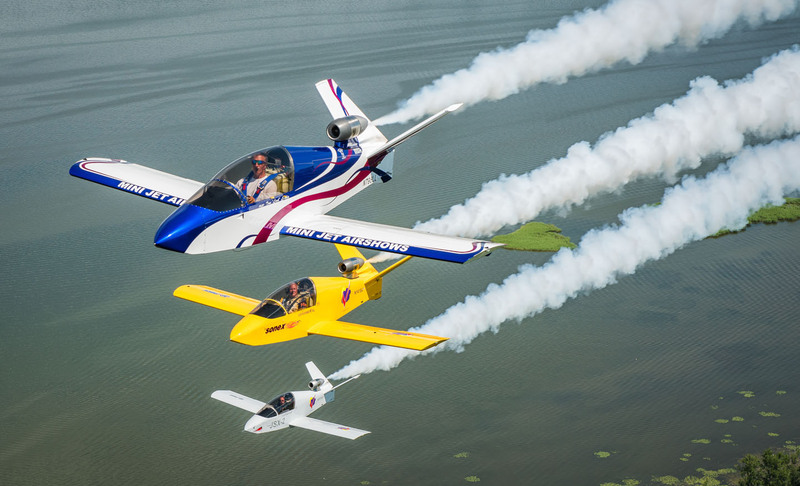 So Cool: SubSonex formation at Oshkosh 2018! 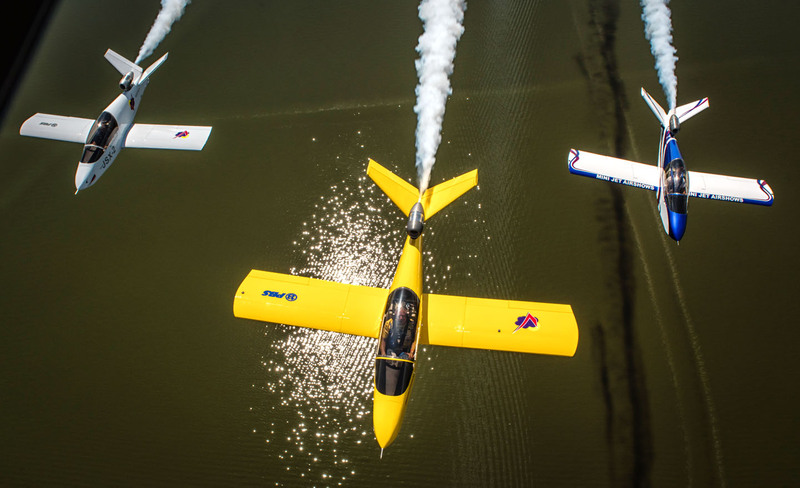 SubSonex Personal Jets in formation over Oshkosh 2018! 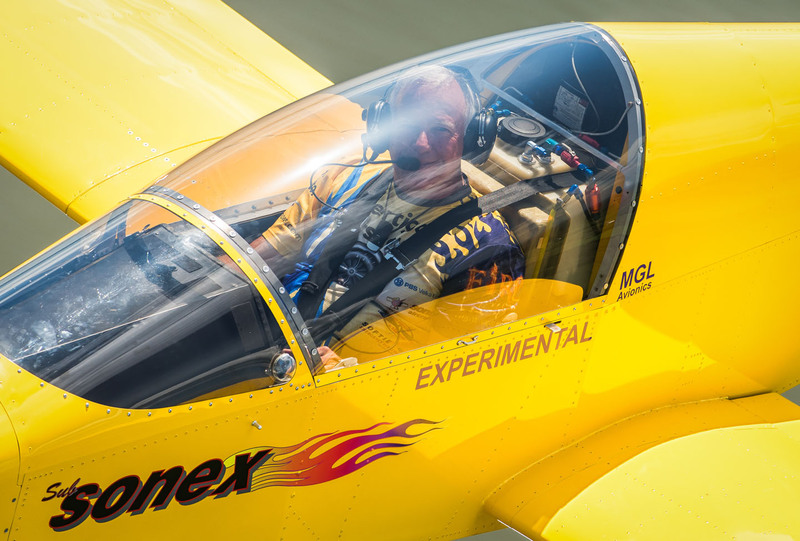 Tom Larkin is taking his SubSonex on the airshow circuit! 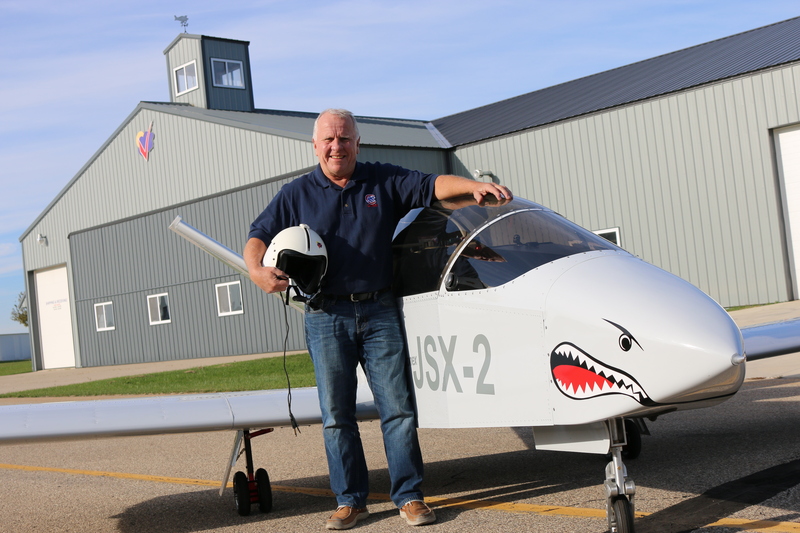 Pete Zaccagnino in SubSonex JSX-2 "Sharkie"
Bob Carlton of Vertigo Airshows enjoys the SubSonex Personal Jet! 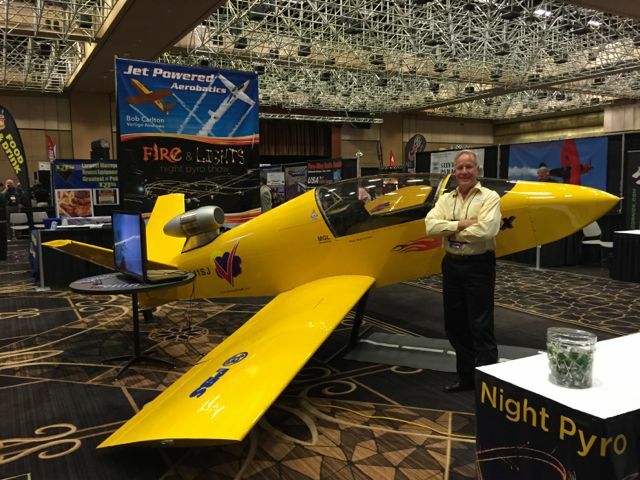 Pete Zaccagnino qualified the SubSonex for pylon racing at Reno! 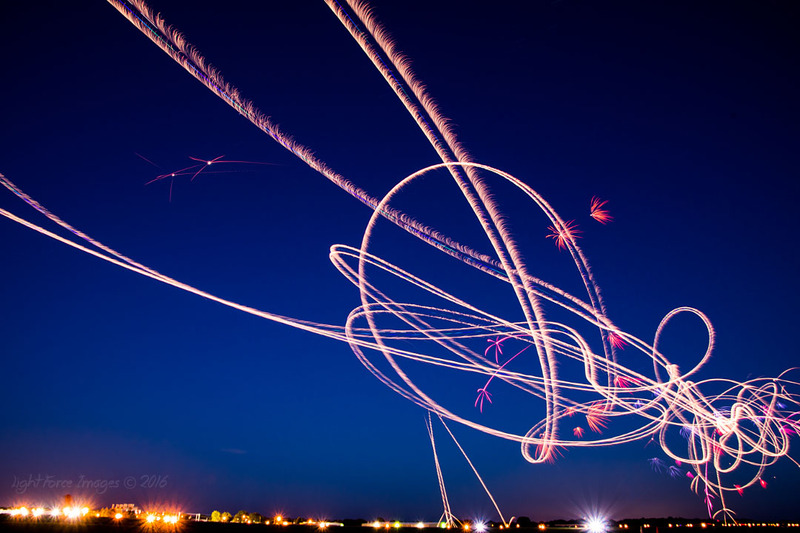 SubSonex Formation over Oshkosh 2018!